← What Are We Saving? Senator Warren is referring to the bank officials at HSBC who helped launder hundreds of millions of dollars to Mexican drug cartels and terrorist groups. 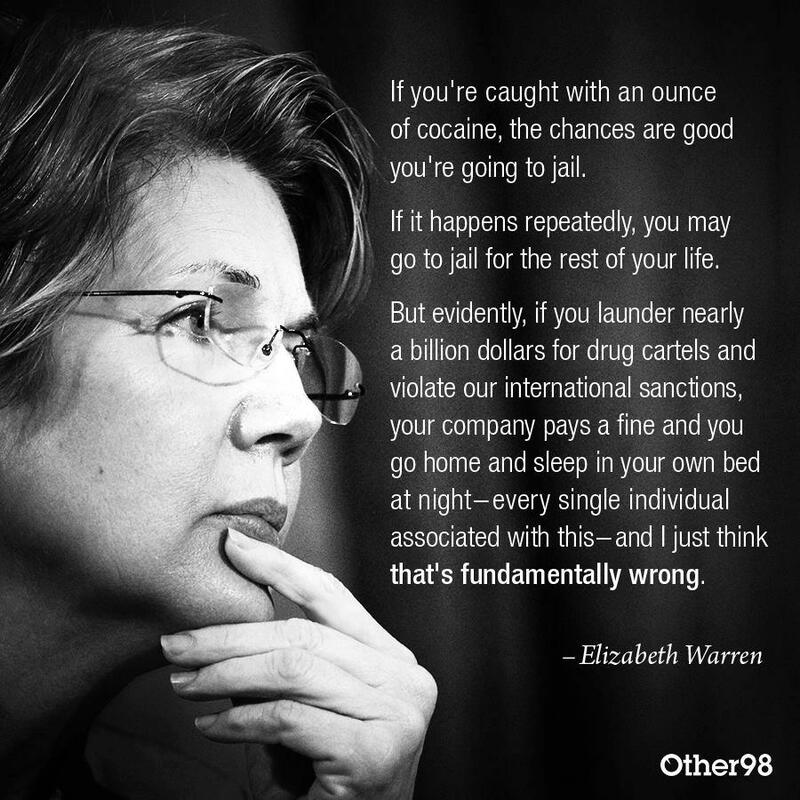 This entry was posted in drugs, economy, finance, government, inequality, Justice, law, Quotations and tagged drug cartels, Elizabeth Warren, HSBC, money laundering, The Other 98%. Bookmark the permalink.